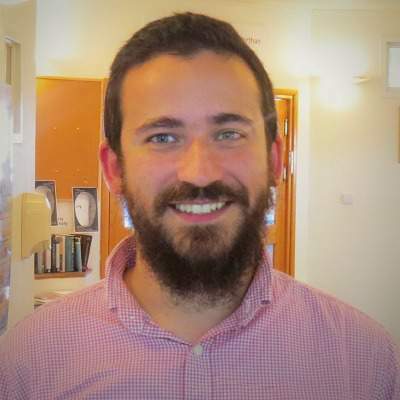 Sam is adjunct faculty at Pardes and currently a research fellow in the philosophy department at the University of Haifa*. He holds a PhD in philosophy from the University of London, and an Orthodox Rabbinical Ordination from Rabbi Zalman Nechemia Goldberg. He works in the philosophy of language, metaphysics, the philosophy of fiction, and the philosophy of religion. His first book is about Bertrand Russell and the nature of meaning. His second book is forthcoming with Oxford University Press, and will be called The Principles of Judaism. It brings together contemporary analytic philosophy, and streams of Jewish thought, from the Midrash to the Hassidim. He is chairperson of the Association for the Philosophy of Judaism. Outside of his academic pursuits, he is a free-lance journalist, and a Jewish community educator. He loves to teach Torah at Pardes, and does so whenever he gets the chance. He lives in Haifa with his wife and three children. *Sam’s research at the University of Haifa is generously supported by a grant from the Templeton World Charity Foundation Inc..